This report contains four pieces of OECD research that broaden the application of BI to public policy and tackle new questions related to both individual behaviour and the behaviour of organisations. The work was developed by the OECD Directorates for Environment, Financial and Enterprise Affairs, Public Governance, and Science, Technology and Innovation. It encompasses a diverse set of countries and research topics in the policy areas of competition, consumer protection, energy consumption and safety. Investing time and resources in scoping policy problems to understand whether a behavioural intervention is required and how it can then improve outcomes. This should be the fundamental point of departure for evaluating the use of BI in public policy, and more broadly, getting the solutions right. Further research is needed on the effectiveness of BI in changing the behaviour of organisations, as many complex policy problems involve addressing the actions of organisations. This can be of interest to businesses and regulated entities, as well as within government bodies to improve the effectiveness of policy delivery. Cross-national and cross-cultural experimentation should be encouraged as a way to study various behavioural problems in different contexts and assess the potential benefits of behaviourally informed policies. International differences in culture and context also highlight the value-added of evidence-based policies for understanding “what really works” in targeted environments. There is a wide range of robust and cost-effective tools available for behavioural policymaking. Randomised controlled trials (RCTs), quasi-experiments, theoretical models and laboratory research should be fully exploited by practitioners and policymakers. It is crucial to be rigorous when designing behavioural interventions while capitalising on available resources and opportunities. Findings must be scalable and translated into a language that is practical and relevant to policymakers; otherwise, BI studies may be little more than exploratory experiences. Meaningfully interpreting and sharing results, even when null or statistically limited, can produce important lessons on how to design future studies and public policies. Equally important is to pay special attention to ethical considerations at all stages of the research and policy-making process, especially regarding experimentation and testing. Behavioural practitioners and policymakers can rely on available ethical guidelines to ensure they are applying BI responsibly. For more information, please contact James Drummond. 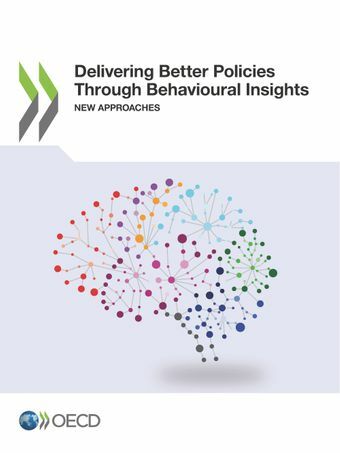 For more information on OECD work on behavioural insights, visit here.